A McKinleyville man was arrested last night after citizens detained him during an attempted robbery of a liquor store on Eureka's Fifth Street and the whole exchange was captured on the above surveillance video. 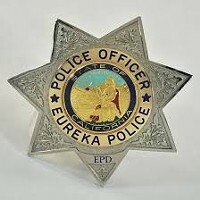 See the full press release from Eureka Police Department below. On 03/14/16 at about 9:37 p.m., officers responded to a liquor store on the 1500 block of 5th Street for the report of a man causing a disturbance with a firearm. Upon arrival, officers found Aaron Christopher King, 25 of McKinleyville, restrained on the floor of the store by three citizens. Officers reviewed the surveillance footage and saw King enter the store with a firearm in an attempt to rob the store. King attempted to shoot the clerk several times but the gun malfunctioned each time. The clerk fought back until a citizen came in and stripped the gun from King and held him down. Two additional citizens entered the store and assisted in holding down King until police arrived. 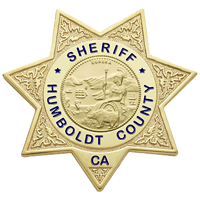 King was arrested and booked into the Humboldt County Correctional Facility for attempted murder, robbery, assault with a firearm, and felon in possession of a firearm. It was determined that the firearm used by King was loaded and had been reported as stolen from a residential burglary in Eureka. Any witnesses to this incident are asked to call the Eureka Police Department at (707)441-4060.